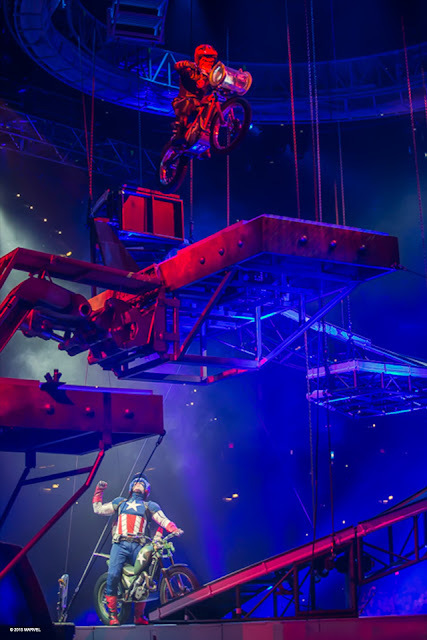 Marvel Universe LIVE opened up for the first time last night in Salt Lake City at the Vivint Smart Home Arena, and was a thrilling show for all ages! Marvel Universe LIVE follows the story of superheroes trying to rescue their superhero friends from a team of evil super-villains. 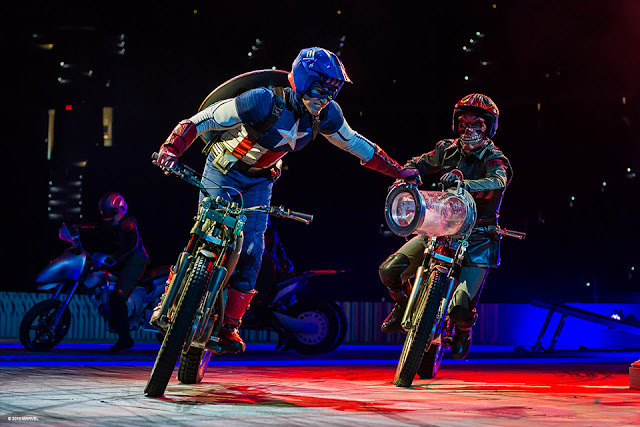 During the show you will see motorcycle stunts, daredevil acrobats, and all the theatrics you would expect from a clan of comic book heroes and villains. 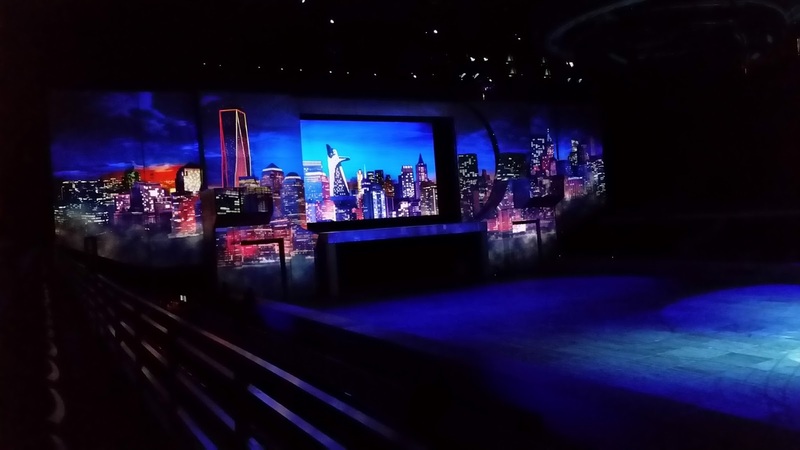 If I were to imagine stepping inside a Marvel comic book, this is exactly what I would expect. Like in the comic book world, you hear every exaggerated "Woosh!" 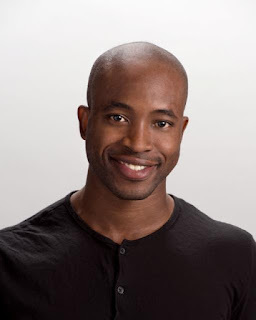 "Bam!" and "Punch!" throughout the production. The set design changes frequently to make you feel like you're inside the world of snowy mountains, or in the headquarters of the superheroes. My kids were sitting on the edge of their seats the entire time, waiting to see what would happen next to their favorite character, and what kind of stunts they were going to perform. 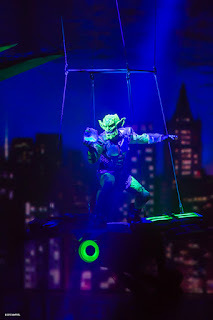 Ramon Dickenson, AKA "The Green Goblin"
Ramon Dickenson - "The Green Goblin"
I enjoyed watching the performers in Marvel Universe LIVE and the skills they have to make these Marvel characters come alive with stunts throughout the entire show. 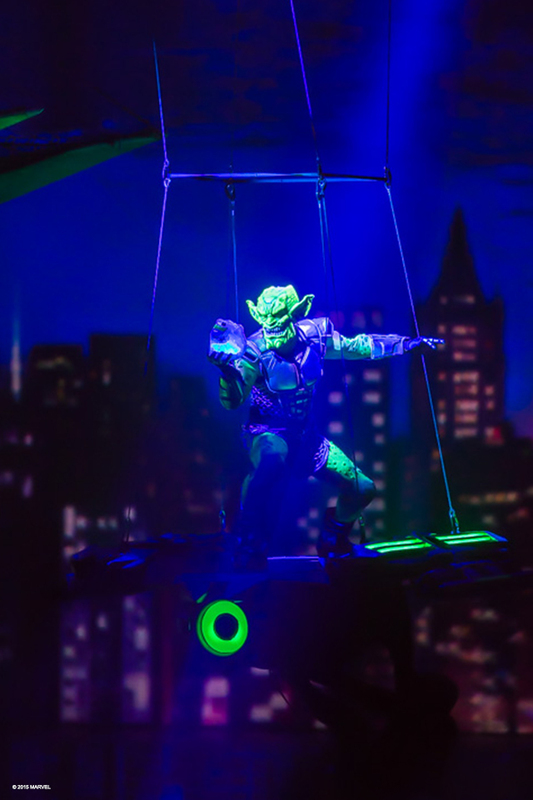 I got the chance to chat with Ramon Dickenson, the performer who plays The Green Goblin. He been with Marvel Universe LIVE for about a year and a half, and is a movement artist skilled in Parkour, break dancing, acrobatics and even a little bit of Capoeira. He loves working with others in the industry and pulling inspiration from everything he comes in contact with. 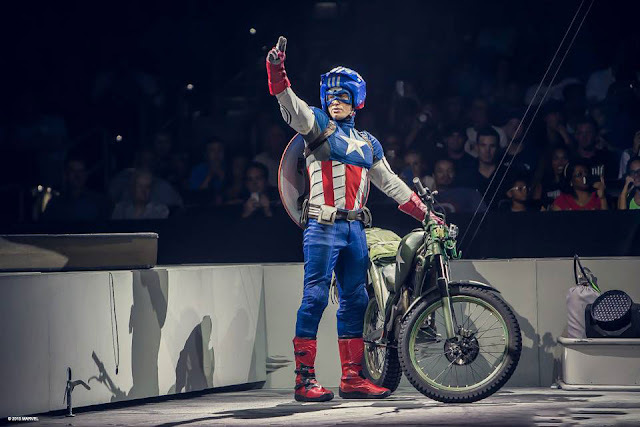 His favorite thing about playing The Green Goblin is getting to play that "over-the-top, super animated villain," and fighting one of his favorite superheroes, Spiderman. 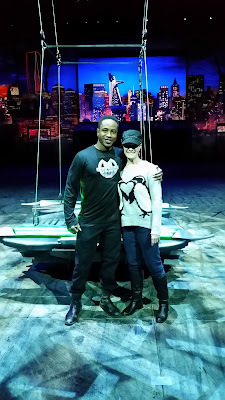 I was impressed with the theatrics of the production, and how they were able to make it all work to portray stepping inside the Marvel comic book world. 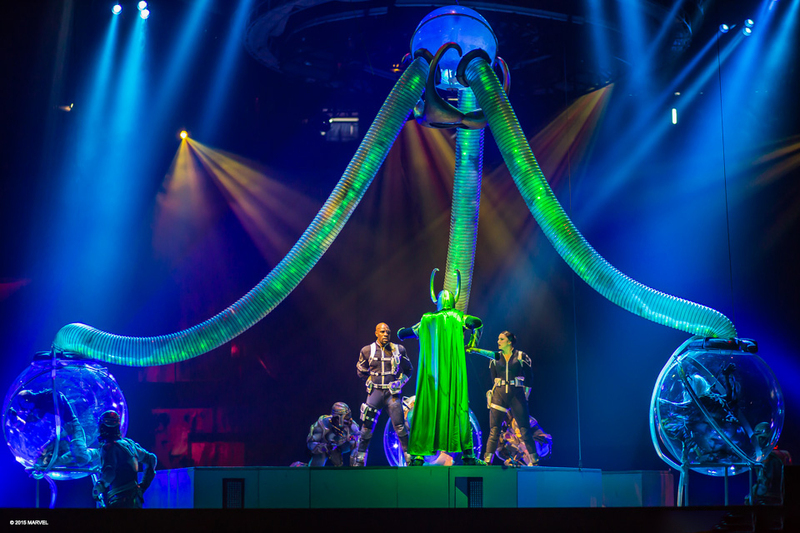 With a production this extravagant, there is a lot that goes into the behind the scenes set design and production. 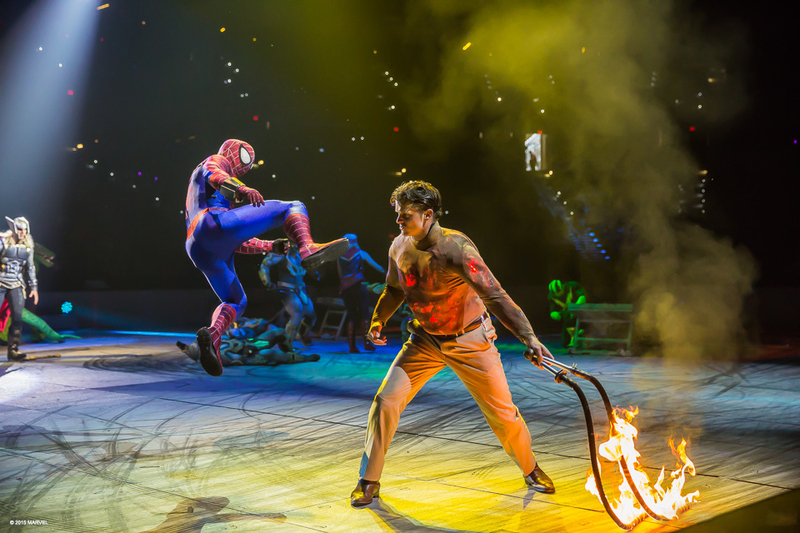 Everything has to be exactly right to pull off a production with as many theatrics, explosions and stunts as Marvel Universe LIVE. One of the ways Feld Entertainment utilizes cutting edge technology in Marvel Universe LIVE is by using motion detector harnesses embedded into all of the performers costumes. 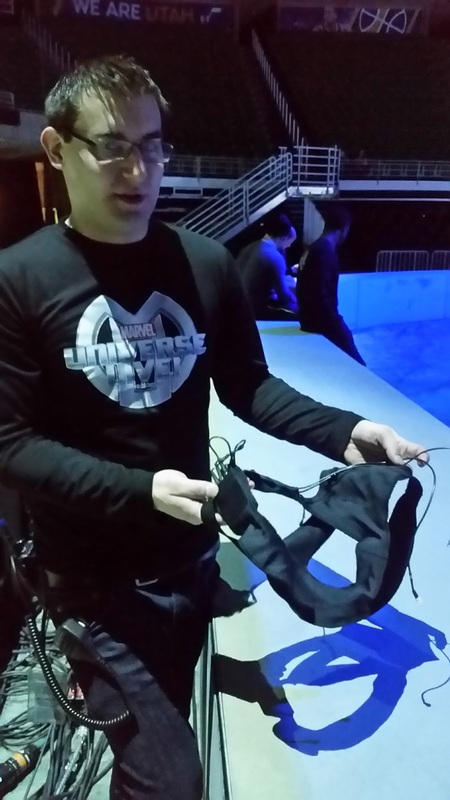 "It prevents us from having to use spotlights," said Brian Hanley, lead video technician for Marvel Universe LIVE. 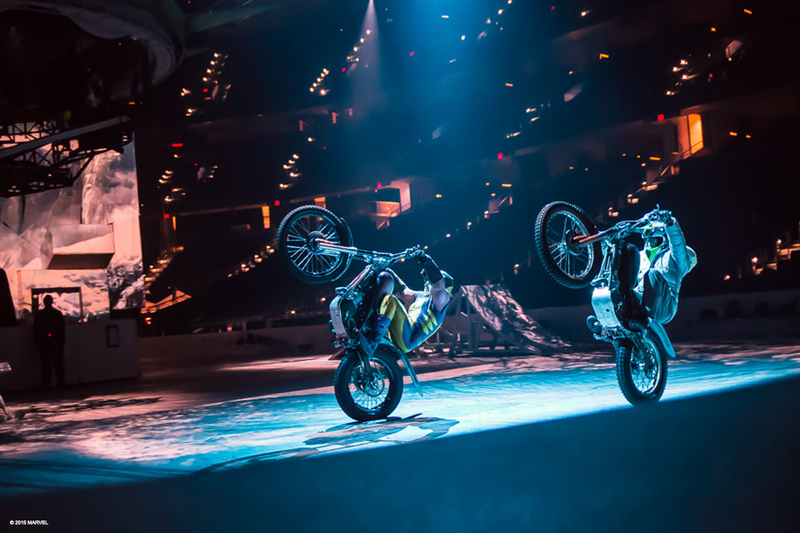 "We have so many people and our surface is so big that it would be impossible to have that many spotlights." These motion detector harnesses can be used for lights or video. A projector is set up so that during a part of the production where a performer needs to have a ring of fire around them, the harness can detect exactly where they are on the stage and place it in the exact spot needed.